Posted on Monday April 15th, 2019 at 03:29 PM. Cellbond are, once again, exhibiting at the 2019 JSAE Annual Congress (Spring) 22-24th May. The Congress is held at the Pacifico Yokohama and is organised by the Society of Automotive Engineers of Japan, Inc.
We will be exhibiting the aPLI Pedestrian Legform Impactor, which was developed for JAMA and JARI in accordance with their CEA analysis. Cellbond developed the aPLI, which addresses the disadvantages of using a Flex-PLI with high bumper vehicles, and successfully manufactured three prototypes (SN01, SN02, SN03) by March 2017. These prototypes were used for round robin testing worldwide, after which design improvements were applied. In February 2019, Euro NCAP announced that they had voted in favour of adopting the aPLI for future Euro NCAP Pedestrian Safety Testing. 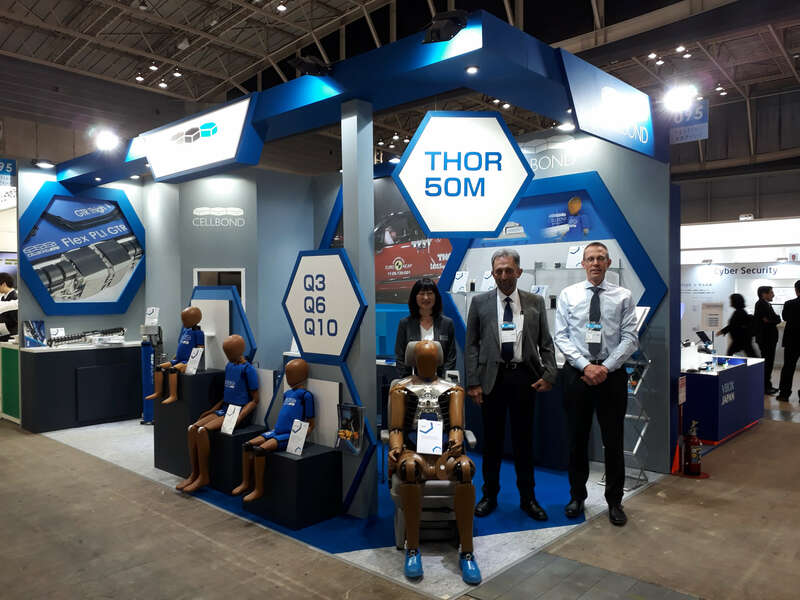 A selection of other products including the Q6 and Q10 Series Dummies, Flex-PLI Pedestrian Legform Impactor, and a comprehensive range of headforms and calibration core will be on display at Booth Number 52. In addition to this, we will be exhibiting a THOR 50th Percentile Adult Male head complete with DTS Instrumentation. Our ATD range includes Q3, Q6 and Q10 Dummies, all offered with on-board DAS solutions, Ejection Mitigation Headforms, Free Motion Headforms, Pedestrian Headform Impactors and Skins, Knee Ligaments for the Pedestrian Legform and a range of equipment including jigs and cradles. Cellbond provide comprehensive manuals with every product sold, we and are committed to providing the highest levels of after-sales care. Our extensive ATD Test Facility is equipped with a Dynamic Test Jig, two Drop Test Towers, Head Drop Table, Centre of Gravity Test Jig, Q-Series Impactors, Instron machines for Bone Calibration, Abdomen Compression Certification Jig, and an Impact Sled. This allows us to produce test results to ISO17025 standards. Cellbond’s product portfolio also includes spare and replacement parts, calibration and certification services, test equipment, prototype and design services.